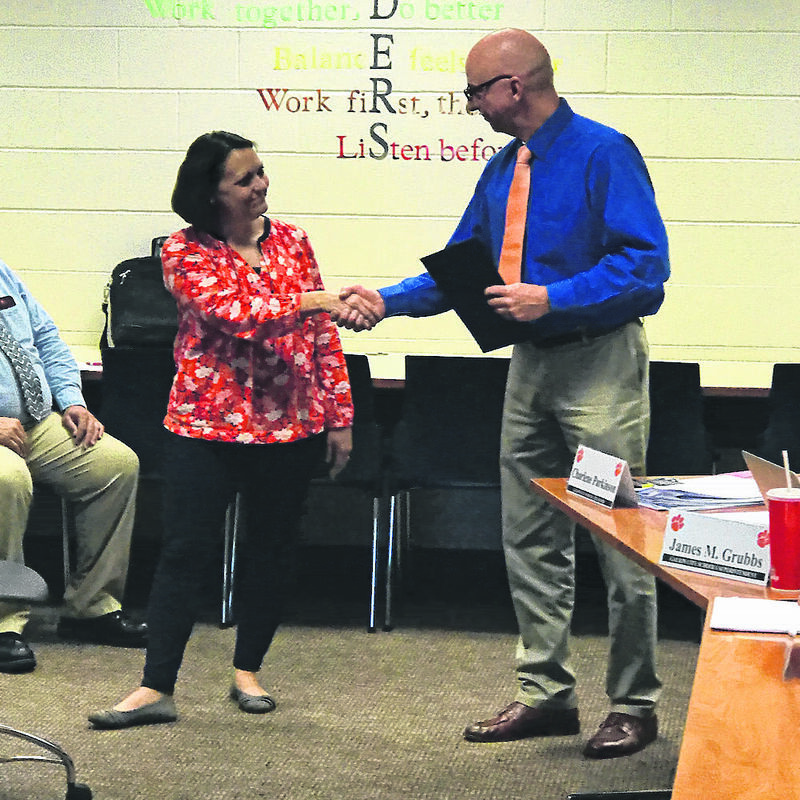 GALION — Galion Primary School assistant principal Katy Erlsten was named the recipient of the Believe Achieve Succeed Award at the Oct. 17 Galion City Schools school board meeting. Erlsten has been with the district 19 years and has worked in the Primary School the past nine years, serving as the building’s preschool director in addition to her role as assistant principal. She also works to develop programs to engage students’ families in new and exciting endeavors. The Believe Achieve Succeed Award is designed to recognize outstanding accomplishments and leadership by Galion staff members. The award is given just three times per year, and Erlsten is the first district administrator to receive the honor.